Often customers has many questions about their favourite burger restaurant like, "Where is the meat from?" or "What is the McDonalds Index". 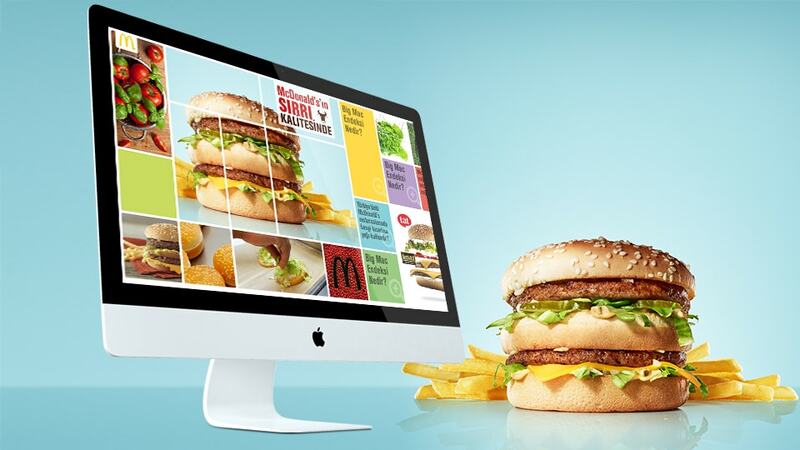 To do not let any question unanswered, i was tasked to create a microsite for McDonald's Turkey. I decided to go more visually instead of many texts. I designed a huge board with many cards. With a 3D hover effect user can easily see content and get more information about each subject.